“The Kid from Akron.” LeBron James uses that hashtag frequently when he posts on social media. No place means more to him than the fifth-largest city in the state of Ohio. Perhaps more so than any other great athlete, James wants people to know where he came from. LeBron’s mother was only 16 when he was born, and he never met his father. James and his mother moved from one broken-down home to the next throughout his childhood. Because they were always moving, he learned never to get too comfortable and adjust to different circumstances, no matter how tough they were. Life was not easy for The King growing up in the Rubber City – “Just keep on moving,” would become his mantra. During his time in Akron, James built life-long bonds with three friends – Little Dru, Sian, and Willie. In middle school, they would tour half the country competing in AAU basketball tournaments and building a dynamic team chemistry. Heading into high school, LeBron, Little Dru, Sian and Willie all decided to attend a predominantly white Catholic school called St. Vincent-St. Mary instead of the local public school, Buchtel High. This decision created plenty of drama, and a large portion of the Akron population turned against LeBron. It was somewhat similar to his decision to leave the Cleveland Cavaliers in favor of the Miami Heat eleven years later. The choice to play for St. V would prove to be a successful one, though, as James and his friends would go on to win three state championships and a national title. 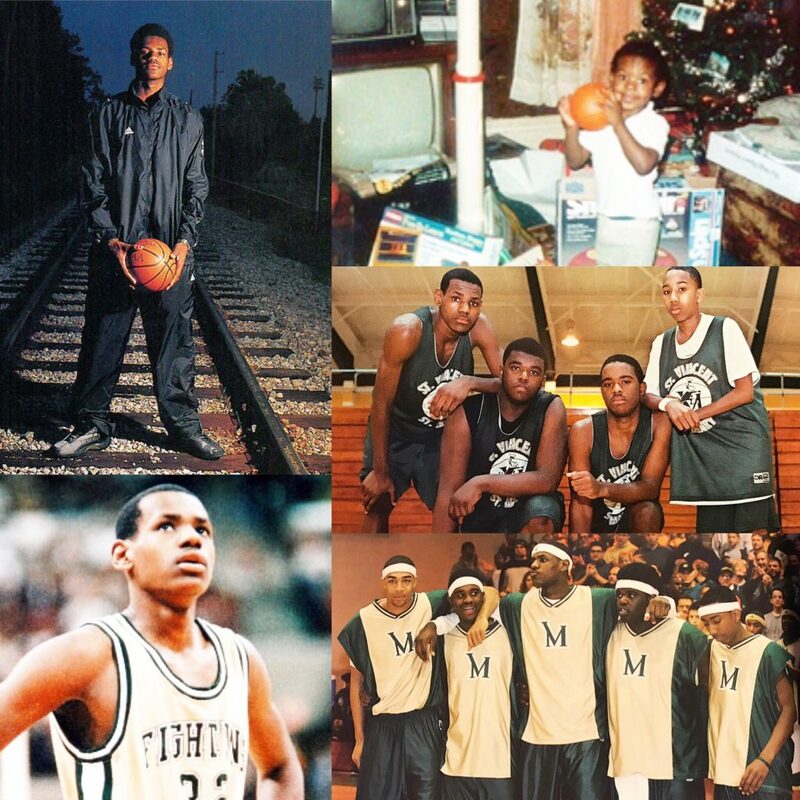 The fact that James played for years with friends who became like brothers explains why Akron is so important. Even though Akronites initially weren’t pleased with his decision to play for St V instead of Buchtel, James and his teammates helped put Akron back on the map. A once-proud city that fell into decay, Akron can again boast that it is flourishing. James, perhaps more than anyone else, can be credited for this transformation.